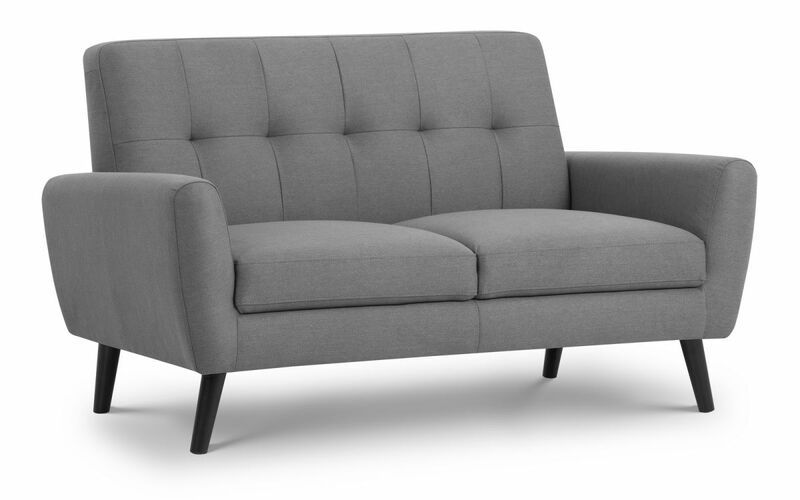 The Monza Sofabed is a stylish , highly functional piece with retro Scandinavian design influences. It is impeccably tailored in a smart, mid-grey linen fabric. Monza has a seat that is deeper than most similarly sized sofas, and is consequently incredibly comfortable. The Sofabed's split back folds down easily to form a large, comfortable sleeping surface for two adults. It is a great functional addition to any home with a very simple to use three position mechanism (Upright, Recline and Sleep) and the indepently acting backs allow for one side to recline while the other remains upright. 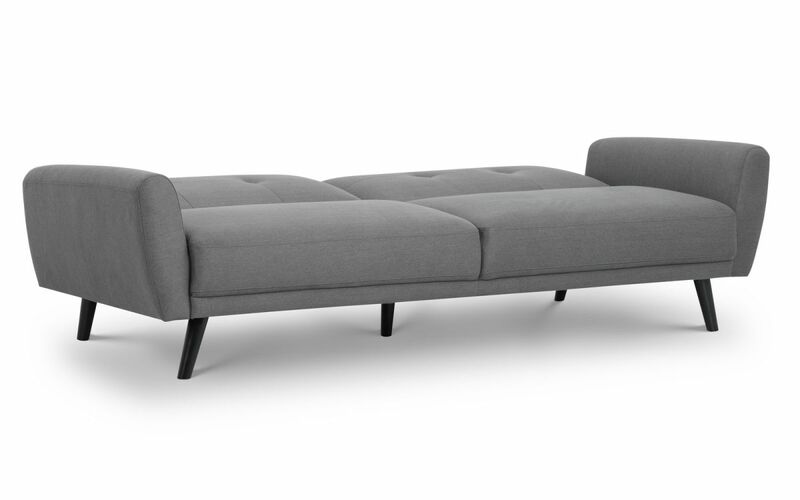 Monza's clean lines and sleek design make it a real focal point for any modern living space. Part of the wider Monza upholstery collection. 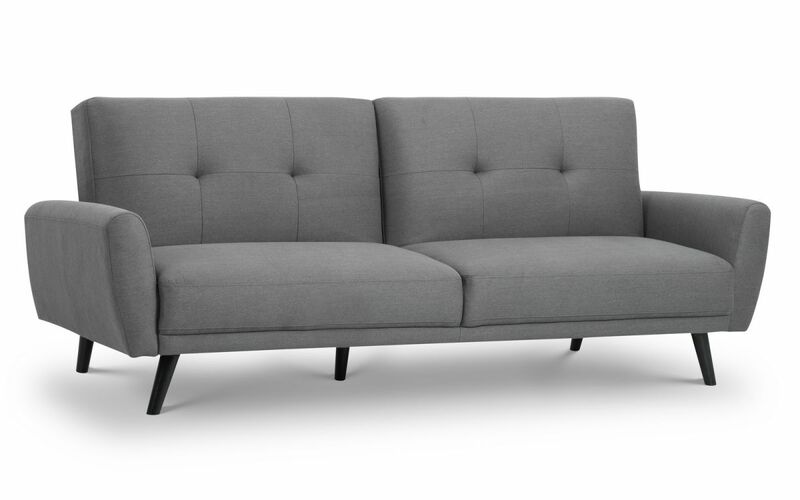 The Monza 2 Seater Sofa is compact and stylish with retro Scandinavian design influences. It is impeccably tailored in a smart, mid-grey linen style fabric. Monza has a seat that is deeper than most similarly sized armchairs, and is consequently incredibly comfortable. 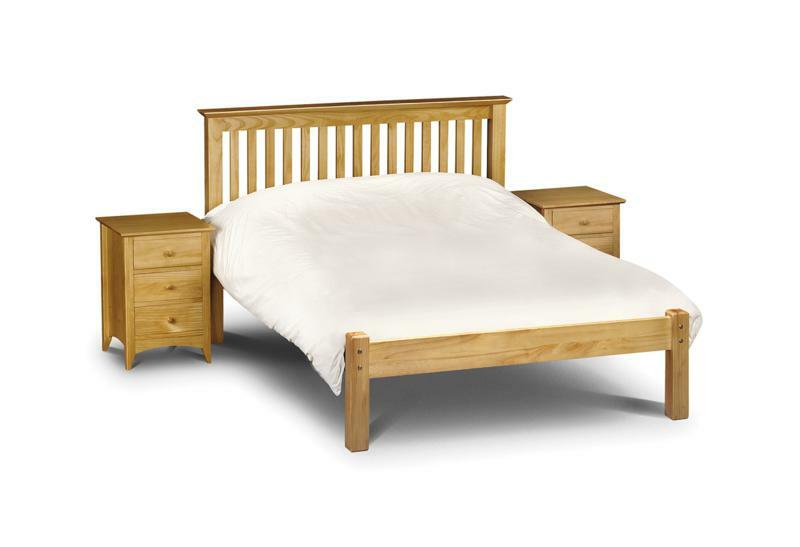 Its clean lines and sleek design make it a real focal point for any modern living space. Part of the wider Monza upholstery collection. Clean lines and sleek design creating a focal point for any living space.